Dække mindst fire Dali-steder og haunts på en dag, herunder Port Lligat om vinteren og Pubol om sommeren. Forlad det centrale Barcelona med aircondition minivan og sæt dig ud på din dagstur. Når du rejser, lyt som din guide deler fortællinger om Salvador Dalí liv og se ud over det forbi landskab og landsbyer. Efter et stykke tid ankommer du i Figueres, Dalí fødested og hjem til hans berømte Dalí Theater-Museum. Se huset, hvor Dalí blev født i 1904, og fortsæt derefter til museet. Hjemmet til et stort udvalg af Dalí's kreationer, det giver et unikt indblik i hans værker og kunstneriske vision. Marvel på ydersiden med sine kæmpe, ægskulpturer på taget, og brug din medfølgende billet til at springe over nogen adgangslinjer og hoved lige indenfor. Nyd tid til at udforske fritid og se alt fra Dalis tidlige eksperimenter med kubisme til senere surrealistiske værker som Galatea of ​​the Spheres og den berømte Mae West Room installation. Efter at have udforsket her, konvergere med din guide og fortsæt din tur som vist nedenfor, afhængigt af årstiden. For mere detaljer, se afsnittet rejseplan . Vinter: Cadaqués og Port Lligat (1. september - 30. juni): Afrejse Figueres og lav den naturskønne køretur til Cadaqués. Beundre denne smukke Costa Brava landsby, og få fri tid til frokost (egen regning) på en lokal restaurant. Derefter skal du rejse til Port Lligat, en kystby, hvor Dalí bygget et privat tilbagetog, der nu omdannes til et museum. Gå inden for (egen regning) for at udforske, og efter en panorama kørsel rundt den spektakulære Cap de Creus, afslut din tur i det centrale Barcelona. Sommer: Pubol Castle og Palamos (1. juli - 31. august): Forlad Figueres til Pubol Castle, engang et hjem for Dalí og hans kone Gala, der ligger i landsbyen med samme navn. Besøg Gala Dalí House-Museum i slottet, og efter frokost (egen regning) vågner du til den attraktive strandpromenade Palamos. Beundre det slotlignende hus af muralist Josep Maria Sert, en ven af ​​Dalí, hvor Dalí besøgte i 1930'erne, og derefter vende tilbage til Barcelona, ​​hvor din tur slutter. Venture til en af ​​?? de mange smukke strandbyer, der dot Costa Brava kystlinjen. Husk at medbringe passende tøj, hvis du vil nyde en forfriskende dukkert i havet eller slappe af på stranden. Bemærk venligst: Salvador Dalí House i Port Lligat er lukket mellem 1. januar og 4. januar og 11. januar til 11. februar. På disse datoer vil gæsterne kun se det udvendige af huset. Our guide Laura was very, very charming, she told some very interesting things about Dali and Gala and things we passed on our way in a very personal and vivid way and she made everything in the trip work on time. Just a small word of advice Laura: Look back and see that you have the whole group following and wait for everybody to join up before you give information. I am sure you repeated important information, but the guests that cannot quite follow your pace will be uncertain if they missed something. It was a great tour through some beautiful mountains with lovely views. The lunch in Cadaques was okay but also a little rushed. Mayby we could have just passed the lovely little town on our way to Port Lligat a place we would not have missed! It was a fantastic experience to visit Dali's House and get a small impression of his way of thinking and living - and it was well worth the trip and the and the extra payment. 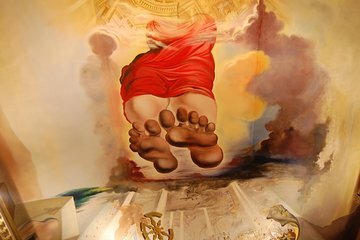 Perfect tour for the Dali interested that wants to know much more. Extremely knowledgable guide with fine communication skills made this and gt;12 h guided trip a treat for my wife and me. This was pretty much what I expected. Be prepared for some very curvy roads on the way from Figueres to Cadaquez and Port Lligat. Also not sure why the guide would wait until the end of the trip to do her commentary. Her rationale was that we wouldn't be able to pay attention for more than 10 minutes. So she did it after we had been on a 7 hour tour including lunch. At that point it seemed like everyone just wanted to relax and enjoy the ride back to BCN and not be bothered. The main attraction of this tour is the museum, which is great and definitely the highlight. The other items described are not really worth the price. The tour guide provided some interesting information about Dali during the 2 hr bus drive, but pretty much left us on our own for the 2 hrs inside the museum. Cadaques was deserted (January is not the best time to head to a beach town), so that part of the tour was a waste. Muito instrutiva. O local é distante, mas o tempo passa rápido com as milhares de histórias que o guia Nicholas foi contando no caminho sobre tudo o que aparecia! Bacana, recomendo! Our guide, Enrique, was absolutely fantastic! He was so enthusiastic about everything and made the trip totally worth it! The Dalí museum was amazing and having Enriques information on the way was really what made the experience surreal. Book this, you don't be dissadisappo! Excellent tour, well thought-though itinerary, very interesting and informative. Our guide Stephen was excellent - very knowledgable and easy-going. Wish we could have more time in the Dali's Theatre-Museum and especially in his Jewellery museum - stunning masterpieces! A bit long drive back to Barcelona (took 3 hours) but it was raining heavily and we got diverted because of the floods. Overall it was a great experience - we might consider taking this tour in summer to visit Pubol Castle as well. This was an illuminating trip, seeing not only Dali's creations at the museum (the jewelery is stunning and not to be missed), but having a glimpse of his life at home. Ana, our guide was very obliging and informative, even though I fear our group was a bit like herding cats. I am a fan of Dali and of Barcelona. 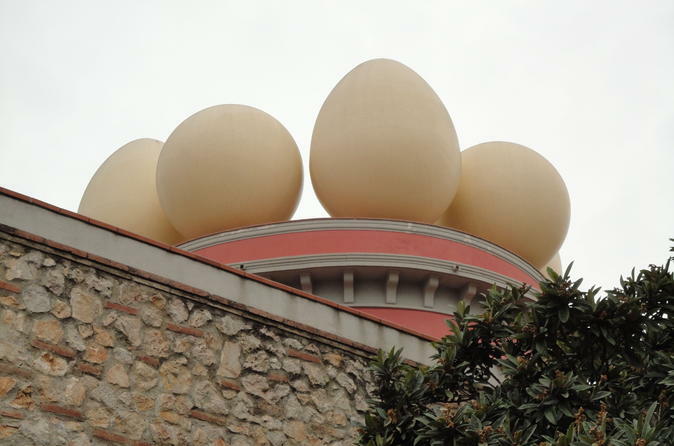 I have been to Barcelona many times but never did the Dali triad (museum in Figueres, visit to Cadaques, and then his house). I am glad I did, as it's a lot of ground to cover. Nicolas, our guide, shared the story of Dali's life on the long ride to the museum. Having the background offered a lot of context and I got a lot more out of the museum and his house than I would have on my own. Thank you, Nicolas.